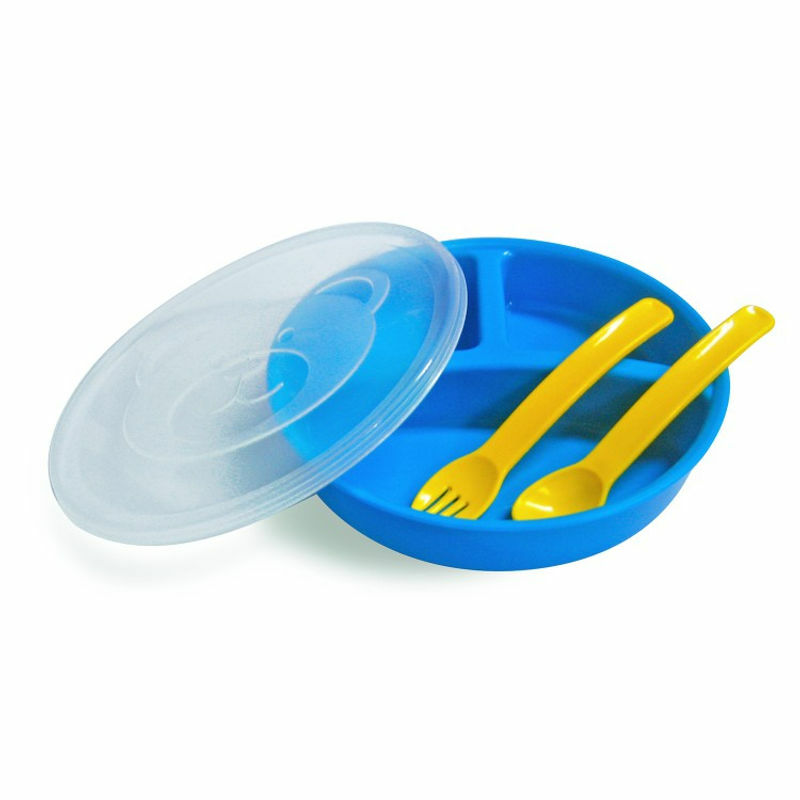 Little's 3 Section Divided Plate With Lid Fork & Spoon gives your little one more independence at mealtimes. Three sections of the plate ensure that his favourite foods don't mix and the bright colors adds a little more flavour to meal time. Ideal for snacks, hot meals and cold meals too. Place fruit in one section, crackers/biscuits or dry fruits in another and veggies in another. The options are endless, and it makes meal times exciting for little ones who enjoy feeding themselves. The bright colors and the designs will keep the baby entertained during the meal time. About the Brand: Founded in 1980's by Voltas, Little's has garnered tremendous trust amongst Indian parents over the last three decades. Today, Little's brings out a wide range of baby products and accessories for every life stage of a child from 0 to 4 years of age. These products keep both parents and baby happy and comfortable. The extensive range of products includes feeding bottles, grooming and skincare products, travel gear, bath time products, toys, gifts and much more. Little's range of baby products are absolutely safe to use and made from the best quality material.